Please take some time on August 7 to reflect on Purple Heart Day, an observance created to commemorate the men and women who have been killed or wounded during military service. On that day in 1782, General George Washington created the Badge of Military Merit. Congress had put a moratorium on promotions in the Continental Army due to a lack of funds; the commander-in-chief created the award as a way to honor enlisted men deserving of recognition. After the Revolution, though, the award was all but forgotten until Douglas MacArthur revived it in 1932 when he was Chief of Staff of the Army. He changed its name to the Purple Heart and expanded its scope to include receiving wounds as a result of enemy action. MacArthur put in his own application a few months later for injuries he sustained in World War I. 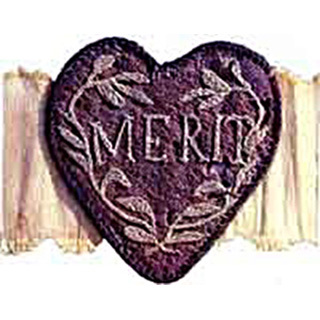 When the Legion of Merit was created 10 years later, the meritorious service criterion was dropped for the Purple Heart, keeping only the requirement of being wounded or killed in battle. Those WWII years created a heavy demand for Purple Hearts – over 1.5 million were manufactured, many of them intended for the planned invasion of Japan. When the atomic bombs at Hiroshima and Nagasaki made the invasion unnecessary, approximately 495,000 were left on hand. Remarkably, the medals created for the Greatest Generation were used for generations to come. 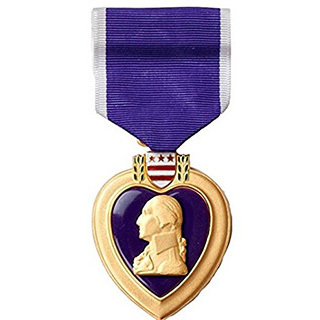 The specific criteria for receiving the Purple Heart regarding who is eligible and under what circumstances – has changed over the years, but the surplus physical decorations themselves were still given to wounded soldiers in Korea and Vietnam, right through to those in Iraq and Afghanistan. The government finally placed an order for 9,000 more medals in the year 2000, but only to refill the inventory at the Defense Supply Center in Philadelphia. More than 100,000 are still with the armed services, stockpiled for immediate use with combat units and in field hospitals. The Association of the U.S. Army has saluted the achievements of military medicine through events such as the recent Army Medical Symposium and Exposition in San Antonio and the Rogers Forum presentation by Army Surgeon General Lt. Gen. Nadja West. F. Clifton Berry Jr., coauthor of the AUSA book Medics at War: Military Medicine from Colonial Times to the 21st Century, also recognizes the ongoing struggles of the men and women of in the medical departments of the U.S. armed forces. To order a copy of Medics at War, visit www.ausa.org/books.